Sheila Hugh Mackay Foundation awarded 2016 Sheila Facilitation Grant to the Canadian Art Foundation in support of a year long series of articles exploring the contemporary visual art scene in New Brunswick. 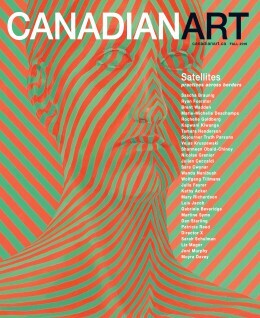 Beginning in May 2016, Canadian Art Magazine issued a call to New Brunswick writers to submit articles reflecting on work being produced in New Brunswick. “Spotlight on New Brunswick” will feature articles in both the print and digital editions of the national art magazine, reaching over 200.000 readers. Big Art in a Small Town: A Report on Sackville’s Ok.Quoi? !